In the Indian Armed Forces there are two Cobra Squadrons, both engaged in reconnaissance, albeit in different Services, and, amazingly, both had a Ravi Dhir for their Commanding Officers … yes, two different individuals with the same name! 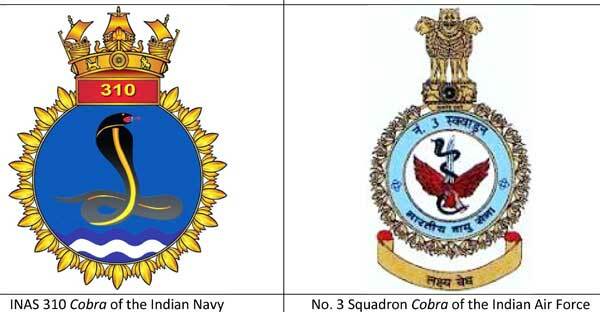 One Cobra Squadron is with the Indian Navy and the other with the Indian Air Force. On 21st of March in 1961, INAS (Indian Naval Air Squadron) 310 was created in Hyeres, France, with 12 newly acquired Breguet 1050 Alizé aircrafts, which were later augmented by two more in 1968. The Squadron was named Cobra. At the time, the Indian Air Force already had a Squadron with the nick-name of Cobra! Two decades before the creation of INAS 310, on 1st of October in 1941, the No. 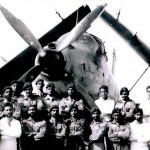 3 Squadron, called Cobra, had already been formed in Peshawar, with the acquisition of Hawker Audax light bombers from No. 28 Squadron of the Royal Air Force.In fact, the Indian Air Force had yet another Squadron, the No. 16 Squadron, created in 1950, which was nick-named differently, as the Black Cobra. This article addresses the No. 3 Squadron, the one nick-named Cobra, not the No. 16 Squadron, the Black Cobra. Lieutenant Ravindra Das Dhir, my eldest brother, was among the set of young Indian naval officers trained for naval aviation in Hyeres, France, in the early 1960s. They completed their deck landing on board Porte Avions Arromanches, with Alizé aircrafts. Porte Avions Arromanches was under the command of capitaine de vaisseau(CV) Jacques A. Thabaud, who later became vice amiral d’escadre of the French marine nationale.The INAS 310 commissioning Squadron Commander was Lieutenant Commander Mihir K Roy, who later retired as a Vice Admiral of the Indian Navy. Other Indian officers in Hyeres, France, included Lieutenant Commander Hardev Singh, and Lieutenants RAJ Anderson, IA Chaudhary, Umesh C Tripathi, Laxmi Narain, VC Charkravarti, RK Deshpande, GN Sen, SK Das, and Arun Rao. All worked closely with the French naval aviator, lieutenant de vaisseau(LV) Michel Joseph Louis Marie Mosneron-Dupin, who was the first pilot to land on board Porte Avion Clemenseau, and who retired from the French marine nationale as vice amiral. As a Lieutenant Commander, Ravi Dhir was later appointed the Squadron Commander of INAS 310. 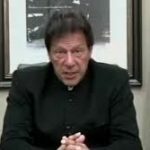 His term as the King Cobra was from 14th November 1970 through 9th April 1973. This period included the migration of the Squadron from INS Hansa, its home base, to INS Vikrant, where INAS 310 operated in a multi-functional role during the Indo-Pakistan War of 1971. These included anti-submarine surveillance and warfare, maritime situation control including blockade of the Bay of Bengal, surface surveillance, air-to-ground observation and guidance, electronic intelligence, and day-time and night-time bombing of enemy airports and harbors.At the time, INS Vikrant was the sole aircraft carrier owned by an Eastern Hemisphere nation. Lieutenant Commander Dhir earned a VirChakra during this War. Ravi Dhir of the Indian Navy derived considerable joy from his association with INAS 310 in terms of the personal qualities of this relationship. Here are some of the many coincidences that were meaningful to him: INAS 310 was commissioned on 21st March of 1961, on the birthday of his youngest brother, the author of this essay, Krishna Dhir. In 1967, while Lieutenant Commander Arun Rao was the King Cobra, Ravi Dhir served as the Senior Pilot of the Squadron at the same time that his younger brother, Lieutenant Anil Dhir, was its Air Electrical Officer (ALO). When the Squadron was a decade old, Ravi’s son, Anuj Krishna, too, was born on 21st March, the Squadron’s commissioning anniversary. Ravi’s term as the King Cobra ended on the birthday of yet another of his brothers, Ashwani Dhir, on the 9th of April, 1973. As such, several members of his extended family identified with the Cobra Squadron. The greatest coincidence occurred in 2001, about three decades after Ravi Dhir first took over as INAS 310’s King Cobra. Another Ravi Dhir appeared as a King Cobra! He was an aviator as well, and an officer of the Indian Air Force. Wing Commander Ravinder Kumar Dhir became the Squadron Commander of No. 3 Squadron Cobra of the Indian Air Forceon 23rd of July 2001! Today, this Ravi Dhir is a highly decorated Air Marshal, with a PVSM, an AVSM and a VM, serving the country as the Air Officer Commanding-in-Chief of South Western Air Command. Thus, the name, Ravi Dhir, referring to two different officers, has remained interwoven with the history of both Cobra Squadrons of the Indian Armed Forces, There are remarkable similarities between the careers of the two Ravi Dhirs! Both graduated from the National Defence Academy in Khadakvasla, although 23 years apart. Both made major contributions in the area of air reconnaissance. On 8th November of 1976, INAS 312 Albatross was commissioned as Indian Navy’s first long-range maritime reconnaissance squadron. 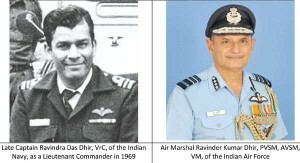 Commander Ravi Dhir was appointed its commissioning Squadron Commander, with Lieutenant Commander Yashwant M. Bhide as the Senior Pilot.Ravi Dhir and his crew were engaged in proving the five multi-engine ex-IAF Super Constellations as effective naval assets for maritime reconnaissance applications. At the time, Indian Navy’s aeronautical experience had been limited to “relatively small turbo prop or jet aircraft which were single engined … the Super Constellation was a giant (144,000 pound) machine with four piston engines.”The naval pilots had not had prior experience with multi-engine aircrafts. The Chief of Air Staff, Air Chief Marshal H Moolgavkar,PVSM, MVC, gave the Indian Navy six months to measure up to the demands of operating multi-engined aircrafts for maritime reconnnaissance. If the Indian Navy failed, the Indian Air Force stood ready to take back the operation of multi-engined aircrafts. Ravi Dhir’s team measured up to the challenge and Lieutenant Commander Bhide,the Senior Pilot of INAS 312, flew the Super Constellation solo in six weeks! Interestingly, the Number 3 Squadron of the Indian Air Force was also a reconnaissance squadron! Wing Commander Ravi Dhir’s task as IAF’s King Cobra was to incorporate indigenously produced MiG-21 Bisons into his Squadron! The IAF Cobra Squadron had the privilege of being the first to fly these 21st century aircrafts and prove their worth as reconnaissance assets. Wing Commander Dhir flew the first ‘series’ production UPG (CU-2782) on Jan 25th, 2002. Later, in Sep 2002, when one of the MiG-21s flamed out and the pilot, Squadron Leader Rajat Nangia,ejected, this remarkable aircraft flew by itself for a distance and landed in a slushy paddy fields of Punjab. Surprisingly, its fuselage incurred little damage, which allowed the cause of the flame out to be determined and addressed, effectively. Captain Ravi Dhir, VrC, of the Indian Navy, passed away unexpectedly, on 17th August of 1979, while serving as the Commanding Officer of the fleet tanker, INS Deepak, soon after the conclusion of MonEx 1979.Earlier, he had served as the Commanding Officer of the aircraft carrier, INS Vikrant. His daughter, Surgeon Captain Urvashi Tandon, continues the family’s naval traditions. The other Ravi, Air Marshal Ravi Dhir, PVSM, AVSM, VM, continues his distinguished service to the nation as AOC-in-C of the South Western Air Command. M. Mazumdar and K. Chandni. INAS 310 “Cobras”. http://www.bharat-rakshak.com/NAVY/Aviation/ Squadrons/47-INAS-310.html. Seen on 17th September, 2017. Wikipedia. “No. 3 Squadron IAF.” https://en.wikipedia.org/wiki/No._3_Squadron_IAF. Last edited on 26th June, 2017. Seen on 17th September, 2017. Ecole Navale Officiers célèbres. “Officiers et anciens élèves. Jacques A. Thabaud (1910-1991).” http://ecole.nav.traditions.free.fr/officiers_ thabaud_jacques.htm.Seen on 17th September, 2017. M. Mazumdar and K. Chandni, ibid. Ecole Navale Officiers célèbres. “Officiers et anciens élèves.Michel Joseph Louis Marie Mosneron-Dupin (1926-2013).” http://ecole.nav.traditions.free.fr/ officiers_mosneron_michel.htm.Seen on 17th September, 2017. Krishna S. Dhir (2017). 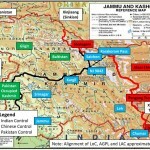 “A Tribute to INAS 310 Cobra Squadron in the 1971 Eastern Theatre” (a poem), Indian Defence Review,http://www.indiandefencereview.com/ spotlights/a-tribute-to-inas-310-cobra-squadron-in- the-1971-eastern-theatre/. Net Edition, Posted on: 04 November, 2016. Seen on 17th September, 2017. Vice Admiral Gulab Mohanlal Hiranandani (2000). Transition to Triumph: History of the Indian Navy, 1965-1975. New Delhi: Lancers Publishers. ISBN 978-18-9782-9721. p 275. Jagan Pillarisetti. “The MiG-21 Bison Upgrade Programme. http://www.bharat-rakshak.com/IAF/ aircraft/current/605-bison.html. Last Updated: Tuesday, 13th June 2017. Seen on 17thSeptember 2017. Vice Admiral Gulab Mohanlal Hiranandani (2012). Transition to Eminence: The Indian Navy, 1976-1990. New Delhi: Lancers Publishers. ISBN 978-81-7062-2666. p 238.